Happy New Year, Mr. Freeze! It took awhile, but several hours of continuous freezing temperatures are finally coming to Sacramento's 2014-2015 wintertime experience...on New Year's morning. The National Weather Service is forecasting a freeze watch for a wide swath of Northern California from New Year's Eve through January 2. Their prediction includes temperatures falling into the mid to upper 20's for eight or more hours during the night and early morning hours. "A FREEZE WATCH MEANS SUB-FREEZING TEMPERATURES ARE POSSIBLE. THESE CONDITIONS COULD KILL CROPS AND OTHER SENSITIVE VEGETATION," warns the National Weather Service. Further down the Central Valley, the Fresno and Bakersfield areas - prime citrus growing regions - are facing even more dire predictions of extended cold this week with temperatures predicted to dip to 21 degrees Thursday and Friday mornings. That's the classic definition of a hard freeze, deadly to plants, livestock, pets and water pipes. Many of us learned to take hard freeze warnings seriously in 1990, when consecutive low morning temperatures of 22, 18, 21 and 23 in Sacramento descended upon us during the period of December 21-24. Temperatures did not get above 25 degrees in parts of the San Joaquin Valley for three to five days and all time record low temperatures were set at Sacramento, Stockton, and Bakersfield. Many records were set for duration of freezing temperatures. The agricultural industry was devastated as acres of trees, not just fruit, were destroyed. Thirty-three counties were disaster-declared. Homeowners back then learned which plants don't like it cold (hibiscus, geraniums and other plants popular in the Bay Area and Southern California); and, which plants were the hardy survivors (another reason the oleander was chosen for the Highway 99 median strip). The National Weather Service has a nifty Tabular Forecast chart link within their "Additional Forecasts and Information" list at the bottom of their local forecast page. This tabular chart predicts the temperature, hour by hour, for the selected location, for the next six days. This is probably more useful for predicting the duration of freezing temperatures, rather than the actual temperatures themselves. When those durations exceed four hours at temperatures of 28 degrees or less, that's when plant damage can become fatal to sensitive plants. Remember to pinpoint your own location when using the local forecast page link by using the Google map embedded on that page to find your location. • If it hasn't rained, water plants thoroughly, especially container plants. • If possible, move sensitive container plants next to a south or west facing wall. 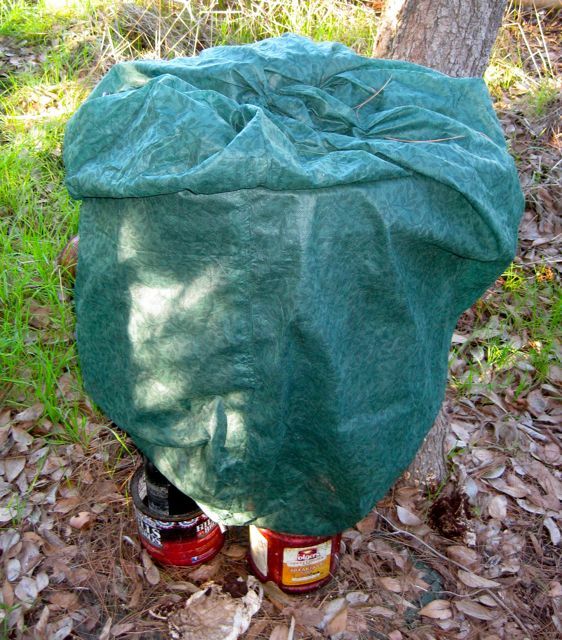 • Cover citrus and other sensitive plants with burlap, row cover fabric or sheets (be sure to keep the sheets dry). Tent plastic sheets on supports over the plants; don't let plastic touch plant leaves. A light bulb placed in such a plant can offer a few degrees of protection. 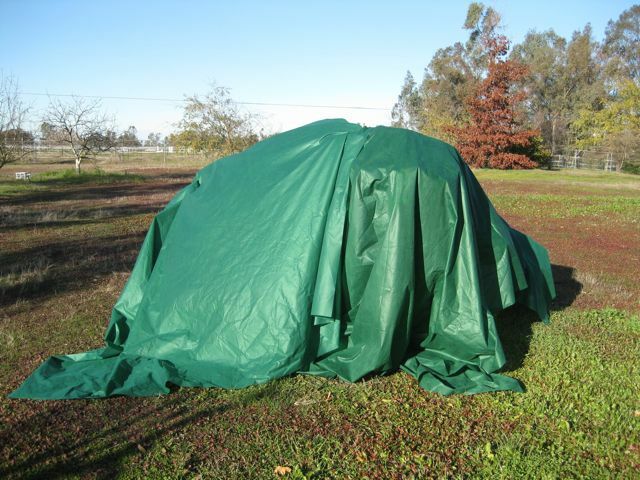 For best protection, sheets should reach all the way to the ground around citrus trees and other freeze-susceptible plants. • If using an anti-transpirant polymer coating material such as Wilt-Pruf or Cloud Cover, apply at the warmest time of the day, or at least six hours before an expected frost. Read and follow all label directions. If using these products, thoroughly water the plant before applying. In my opinion, use these coatings only as a last resort. 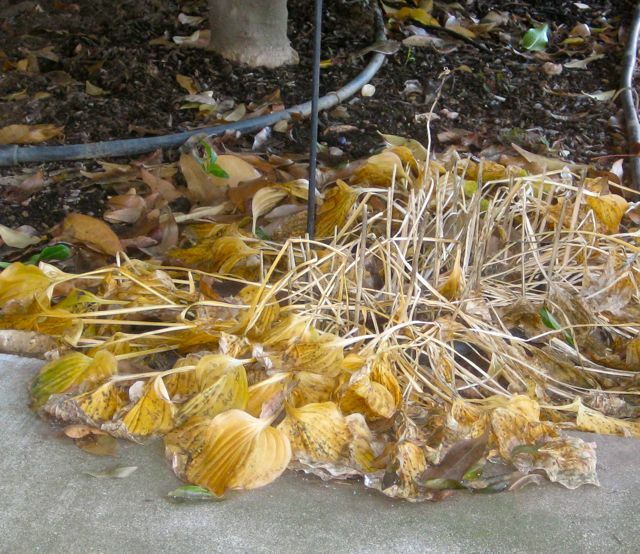 Watering plants, moving plants or covering/adding heat to sensitive plants is a more effective strategy. • Disconnect hoses and drip lines, removing end caps. Lay out straight, off the driveway and out of the path of vehicles. If possible, turn off any exterior water lines at the main; or, thoroughly wrap any exposed pipes and faucets. • To prevent broken grass blades, don't walk on a frozen lawn. 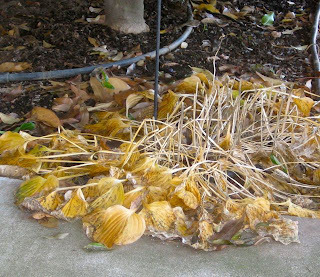 • Remove the lowest sprinkler head on each line for drainage. • To prevent frozen attic pipes, let lukewarm water trickle out of the indoor faucet farthest from the inlet. Also, let faucets with pipes running along an outer, north facing wall trickle during the night. • Open cabinet doors to get more heat to the pipes. Close the garage door if water pipes pass through the garage. • Setting your thermostat nightly at 55 can add needed heat to the attic pipes. • If leaving the house for a vacation during an expected freeze, turn off the water to the house, and open up the faucet farthest from the inlet. Be sure to turn off your water heater. 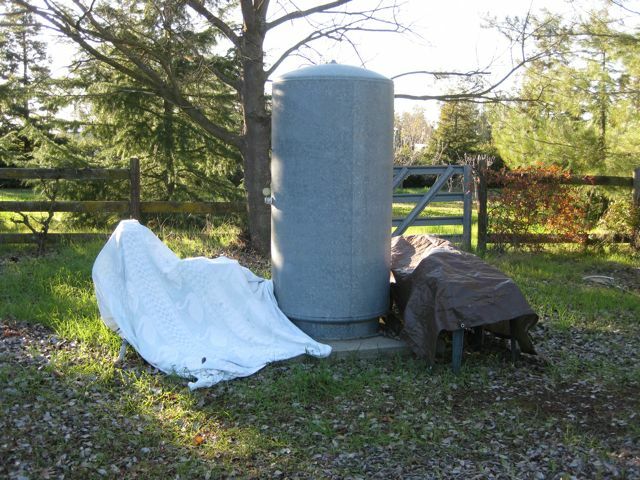 • Cover unprotected faucets and pipes, including any spa or pool equipment. • To prevent cracking tile, run your pool and spa equipment during the freezing hours. • Don't forget about your pets during a prolonged freeze. Bring them indoors at night. Move or replace their drinking water. Break up any frozen water in bird baths. • Cover the worm bin, too! Or, move it indoors. 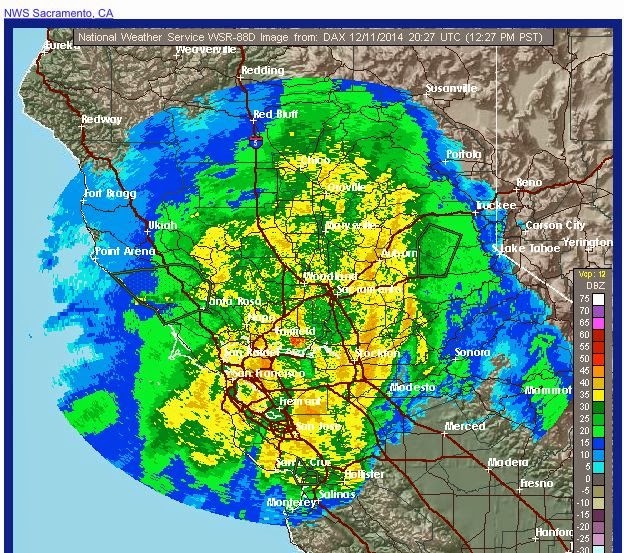 50+ mph winds, several inches of rain over a few hours: that's the recipe for a typical winter storm in much of California...today, for example. TV news crews rush to the most photogenic damage during these rare occasions: downed trees, usually leaning against a house or crushing a car. If this is the view from your window, the day after a major rain and wind storm is not necessarily the best day for the gardener to tackle the hazardous task of cleaning up the remnants of trees, shrubs and other plants that took a beating. 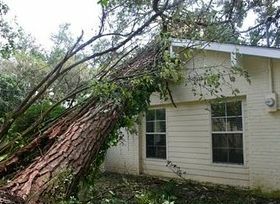 If wind and rain is still in the forecast, the prevalence of slippery conditions and the chance of more falling debris should limit your cleaning chores to dragging broken branches away from the scene of the crime. It is not a good day to be climbing ladders or scrambling into trees while balancing a chain saw. Leave that to the professionals. 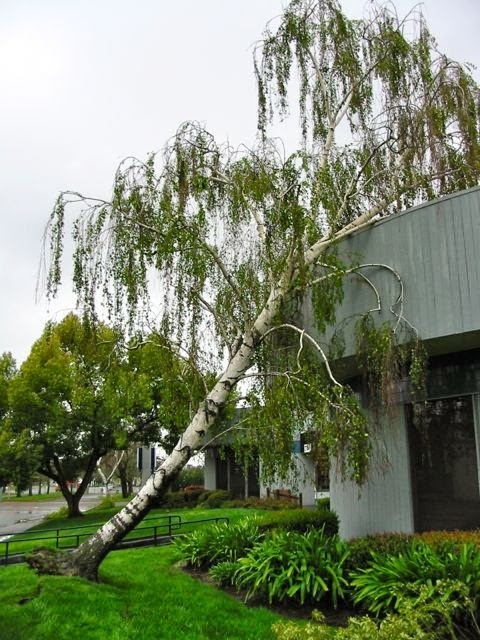 Sacramento-based arborist Analisa Stewart of Arbor Entities offers this good piece of advice for those surveying the fallen aftermath of a major storm: "Limb failure is largely a product of poor tree maintenance over time," says Stewart. "Take care of your trees, or they may take care of themselves in ways you won't appreciate." 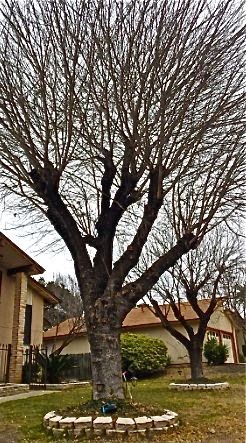 According to the University of California publication, "Inspect Your Landscape Trees for Hazards", a nice day in autumn (or winter, spring or summer, for that matter) is the time to take an inventory of any possible future tree damage before you, your house or your car becomes the next victim of a falling tree or branch. 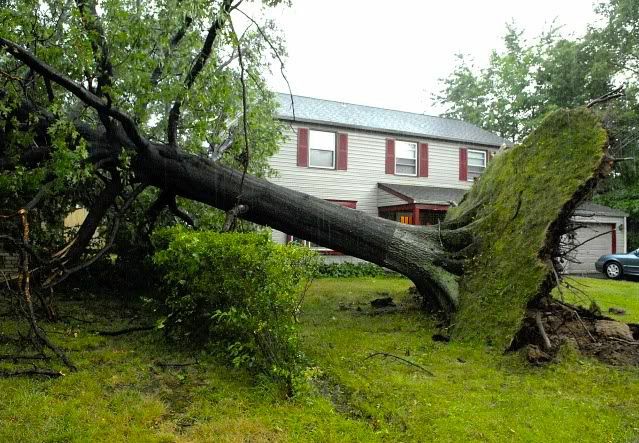 Leaning Trees: Are your trees not as upright as the result of recent heavy winds? Can you see newly upheaved roots or soil around those trees? Then, immediate action is required: call in a professional, certified, bonded and insured arborist to do an onsite inspection and offer a solution. Newly leaning trees are an imminent hazard. 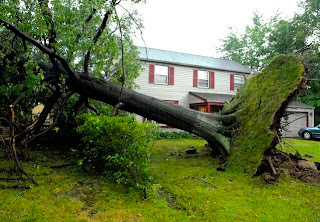 If you have a tree that has leaned for a number of years, that tree can still be a hazard during wet, windy weather. Taking periodic photographs can help you determine if a greater lean is developing. 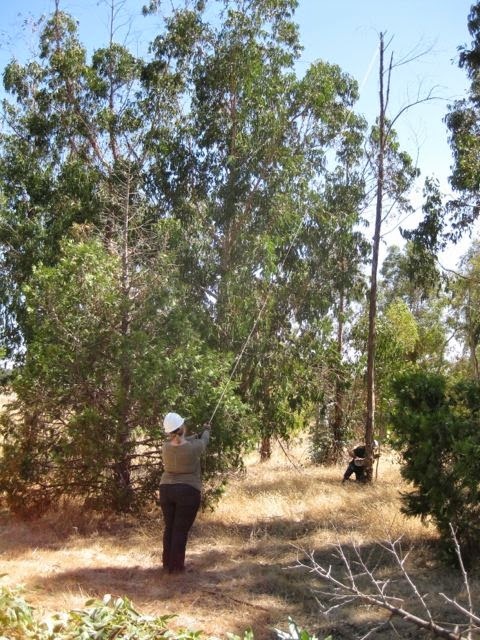 Multiple Trunked Trees: This co-dominant condition can result in breakage of major tree parts during storms. Usually, these trunks are weakly attached. Inspect the point where the two trunks meet; if you see splitting beginning, call in an arborist. 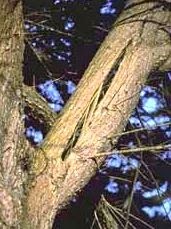 Weakly Attached Branches: Trees with many branches arising from the same point on the trunk are prone to breaking during wind storms. Prune out any split branches. Thin out multiple branches. Hanging or Broken Branches: If you see storm damaged branches hanging from the tree, remove them as soon as possible. This includes removing any completely broken branches that may be resting elsewhere in the tree's canopy. Cracks in Trunks and Branches: Measure the depth of any cracks with a ruler. 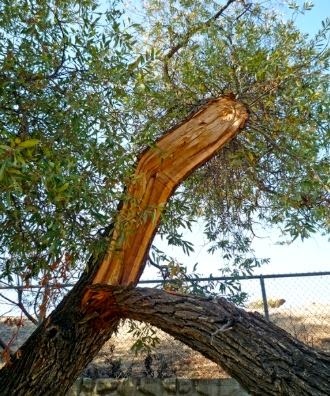 If those cracks are more than three inches deep, call in an arborist to determine the best course of action. 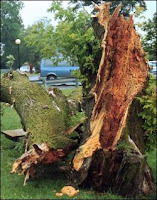 Dead Branches/Trees: Branches or entire trees that have completely died are very likely to come tumbling down in a storm. Dead branches are most noticeable in the summer when the tree is in full leaf. Cavities and Decay: Large, open pockets where branches meet the trunk, or at the base of the trunk, can mean big trouble. The presence of mushrooms on the bark or on exposed roots may indicate wood decay. Call in an arborist. The Arbor Day Foundation website has this animated guide to proper pruning techniques. 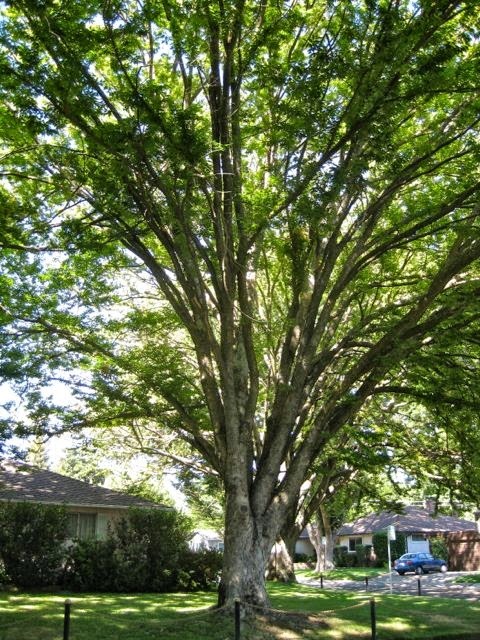 Tips for Hiring an Arborist.